You might think that when Nintendo started offering games from classic systems on its various Virtual Console platforms that interest in original hardware might fall away. However, over a decade later we're instead seeing a strong reassurance of new products supporting ageing original hardware, often aimed at getting the best quality image from the system in question. Recently we looked at the RGB-modded Nintendo 64 and we're currently putting an UltraHDMI modded system through its paces, too. Obviously, both of those options are for the N64 but also, crucially, they are only made possible by physically modifying the original system - which requires either some skill, or paying someone else to do the mod. Hardware mods aren't for everyone, and we've looked at an HDMI mod for GameCube before; what makes the GC Video Plug n Play 3.0 totally different is that it's exactly that - plug 'n play - there's no hardware modification required whatsoever. 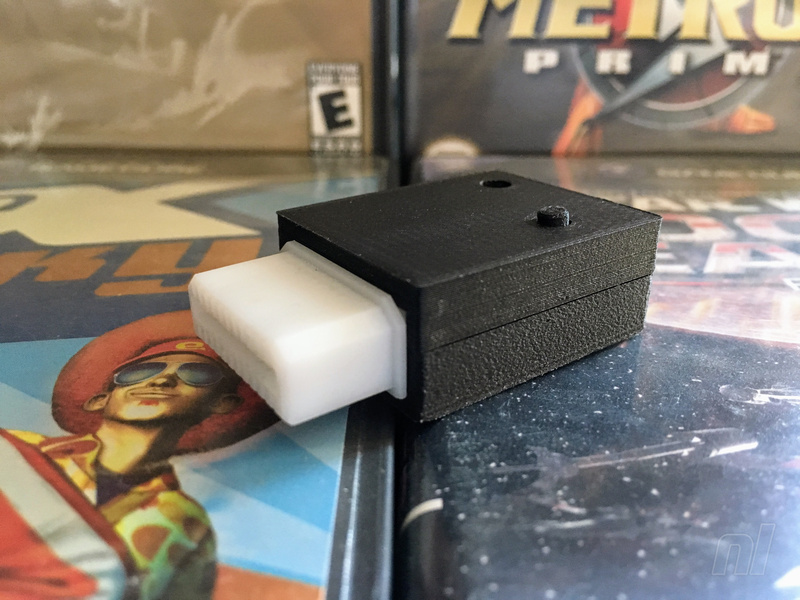 The unit is a small nylon and carbon fibre 3D-printed housing that connects into the Digital AV Out port on the back of any DOL-001 model GameCube. If you've ever used a component cable on your system then you will have used this port before, although it's worth noting that towards the end of the generation a DOL-101 system was launched without this port - naturally, double check your version before ordering this device. The adaptor has a mini-HDMI port to connect to your modern TV; the one we were supplied with also came with a free cable. By default, games will run in 480i, but any of the games that support progressive scan can be triggered in the usual way by holding down (B) on boot to enable 480p mode @ 60hz (576i/576p @ 50 Hz on PAL GameCubes). Audio is also delivered through the HDMI signal as 16bit PCM @ 48KHz. We tested the unit on an NTSC GameCube DOL-001 via a 55" Sony Bravia 4K TV alongside an original GameCube component cable and a modified RGB SCART cable. The picture quality from GC Video Plug 'n Play 3.0 is outstanding; it's significantly clearer and crisper than the analogue signal from the component cable, meaning our TV did a much better job of upscaling using the pure digital signal with the same settings. One potential drawback of the device is the lack of built-in upscaling - you are really at the mercy of how good the upscaler is in your TV. To us, this seems perfectly acceptable, considering that the device is not a hardware modification - it's designed to only provide you with the best quality signal from an unmodified console. Those that wish to dabble in a more controlled form of upscaling could look at using a Framemeister (XRGB mini) or similar, although the software does not officially support such devices. That said, one benefit of the lack of upscaling is that the device introduces no extra lag, making it perfect for those dedicated Super Smash Bros. Melee players. Another neat feature is the implementation of the on-screen menu which can be controlled by a standard TV remote control after a little configuration, rather than an awkward controller button combination. There are a handful of useful options to choose from, including a basic line-doubler for interlaced mode and also scanlines with an intensity setting. Tweaking these settings allows you to tailor the device to your tastes and of course save your settings as the defaults whenever you boot up the console. We tested the device on a range of different GameCube games, including the Game Boy Player(! ), with the best results from those that support the 480p mode, the clarity of picture is fantastic. Using 480i we had mixed results with the devices built in line-doubler, sometimes the TV did a better job of de-interlacing so we expect you'll need to tweak these settings to find out which works best with your TV. Overall we've been very impressed with the GC Video Plug 'n Play 3.0, whether you should purchase one basically comes down to the kind of setup you want with your GameCube. If you're a purist, you may wish to stick to an older CRT TV with a component cable (if you can get one). However, if you want to hook up your GameCube to your modern flat-screen it really is a no-brainer, especially considering this device will no doubt cost you less than trying to get your hands on a component cable. Huge thanks to ZXP Cables for providing us with a unit to review and test. 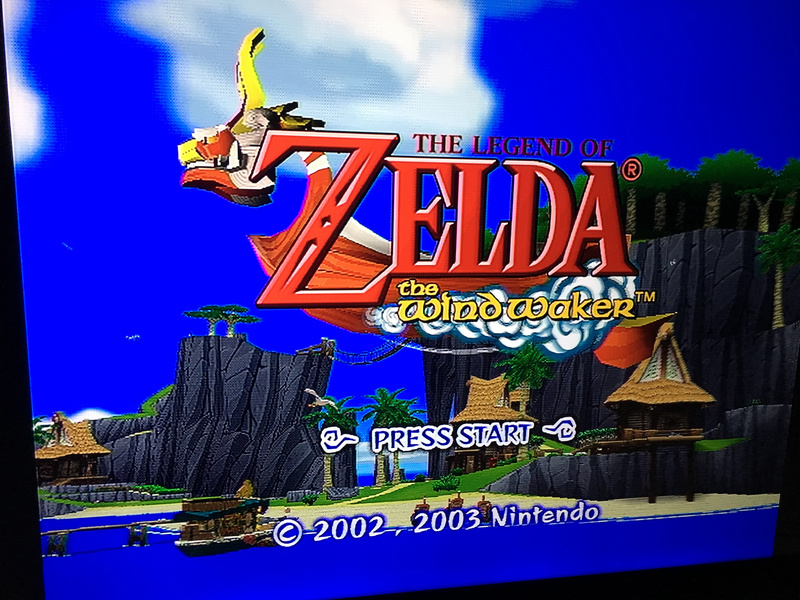 I'm happy with my Wii running via component. Both can be purchased for under £50 and unless doing a side by side with much, MUCH pricer options the difference is negligible. Anyway, isn't a system which plays both Wii and GC more desirable than a system which 'just' plays GC? Hmm. Seems somewhat pricey for what it is. If it wasn’t for the GameCube component cable being so damn expensive I bet this would be significantly cheaper. @Pazuzu666 yes except you can’t use the GameBoy Player on the Wii. Although I have a Wii with component cables hooked up. I use the gamecube with the official RGB cable and I prefer the colour to the components. I picked up one of these, and the quality really is fantastic. Paired with the Game Boy Interface, it's the best way of playing any Games Boy games on a modern TV. If you're interested, check out the My Life in Gaming episodes about GameCube and Game Boy to see if you'd like to make the purchase, which is what I did. will this work on a wii? I like the fact.I don't have to mod my actual machine and can safely get the picture quality I'm after without touching a single screw on my release day Gamecube. I will definitely be looking at getting one. @vitalemrecords no, this uses the Digital AV Out on the GameCube, the Wii only has the multi-AV out which is also on the GameCube, but different to the Digital Out. I may have to get one of these. I refuse to mod my original hardware so i have been looking at upscale solutions that don’t require modding. Tempted to get for the GBA player as my Retron 5 has been a little iffy with some of my GBA carts. Plus the Hori SNES style pad for the GC is a good alternative to the real SNES pad. I was totally interested, that is until I saw the price... seems a little steep for what it is! If it was in the region of $30-40 I might be tempted, but I may have to stick to running the Wii via a component cable, albeit on another TV as my current Samsung only has HDMI inputs. @GumbyX84 Let's hope this paves the way to cheaper alteratives! @sikthvash This dongle existing at all is pretty amazing, it is well made and I need to give my unit a run for its money. 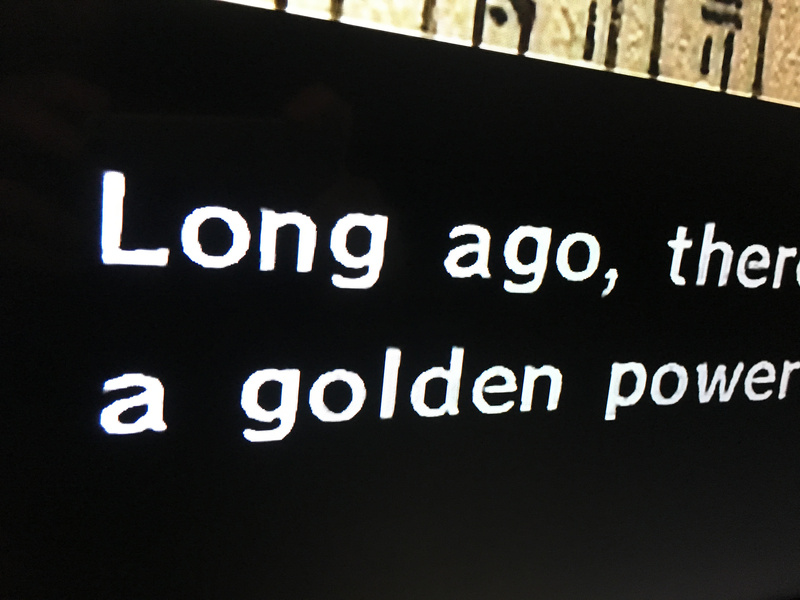 I’ve got the component cables for the gamecube, and I must say I’m disappointed with how games from that era look on HD TVs. I’ve even tried it on a 480p LCD and a decent Sony 720p LCD to minimise the upscaling. The Sony looks the best, but it still pales in comparison to RGB on a CRT in my opinion. Even at 480i, it just looks better. Metroid Prime on a CRT is just amazing. I don’t think these 480i/p 3D games look good blown up to HD or 4K, they’re just a horrid jaggie fest. I much prefer the softer look of a CRT, how they were designed to look. 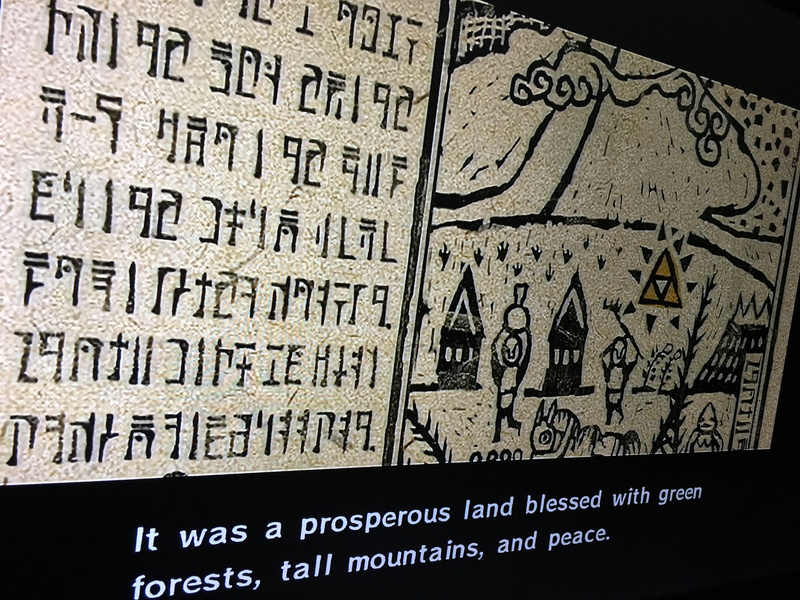 8 bit / 16-bit pixel art fares much better when upscaled than games from the GC generation, strangely. Maybe 1 day Nintendo will allow us to re purchase all the GameCube games we own, and some we don’t, and we could play them on our portable HD systems. They could call this service something like ‘Not Physical Game System’ or the NPGS for short. Rolls tight off of the tongue. I was completely with this until I got to the $99 price. I really need something like this, but not at 99 bucks. Is there any way to get the component cable in Europe? After a quick search I have found nothing about this. My GC is connected to a 14 inch CRT through a composite cable with SCART connection. That's all I've got, and it looks good but too small. I bought years ago an RGB cable to connect it to a 32 inch LED TV, but the picture was blinding white, so I'm stuck with my old little TV. But if there is a component cable that would change the situation, only I can't find a way to get it. I want one but because of the price probably won't get one. @1UP_MARIO As I said, I did own once an RGB cable for GC, but for some reason that TV didn't display it right. Do you think that "games mode" is what makes the picture not blinding brilliant? I don't know, my 48 inch screen in the living room has the game mode disabled and works perfectly fine. I think my 32 just doesn't have RGB, although is not older than 7 years. @Smash_kirby Sure, it's a welcome addition & I don't doubt that it is well made, just a little out of my price range. I suspect it will be well received by those who do pick it up! I REALLY want to replay Skies of Arcadia Legends, but it's a pain to do with my current setup. LOL. What a waste of money. A (gamecube compatible) Wii + the Wii component cables is a much cheaper option that works just as well. @sikthvash I had to get one as I really wanted a device like this. Though I need to get my Gamecube opened up and cleaned out. The open disc tray button and the reset button are pushed in. @antdickens: Is this compatible with the N64? I have some pricey OEM component cables that can be used with GC or N64 using a an AV port that is identical in shape. EDIT: I see your Wii response, and realize the N64 port is a Multi A/V, not a Digital, so I guess that's a NO as well . . . .
@Smash_kirby Hopefully it's an easy fix! From memory, the plastic casing slides off fairly easily. Didn’t the GameCube use the same component cables as the 64 and snes? GameCube’s problem isn’t video quality, it’s the fact that most of the best games are available on newer consoles. The only games I miss that I can’t get elsewhere on newer consoles now that Luigi’s Mansion is coming to 3DS, are Super Mario Sunshine, Killer7, Viewtiful Joe and Chibi-Robo! Chibi-Robo got a New Play Control release for the Wii in Japan but it was sadly never localized. The adapter is custom built, and it's a sensational alternative to the component cable. I've sent in a request for one, and hope to get one soon. A fair warning to everyone, the 3.0 in the name isn't just for kicks. The guy that makes this has released some earlier versions that wound up frying some peoples' Gamecubes. This one may be perfectly fine, but I'll be waiting for the GCVideo X by BadAss Consoles, instead. @G0dlike That's a great idea! It'd be as is the HD portable system worked as one of previous console. It would almost virtually be the same console! @Nico87 Super Smash Bros. Melee, Eternal Darkness, F-Zero GX, Paper Mario: TTYD, Mario Kart: Double Dash! !, Rogue Squadron II. @1UP_MARIO loving your gif picture thing. Still the best start up screen ever. Gah....I really like the idea, it's just a touch too expensive for me. Hah, my thought process was very similar. I liked the idea of it, sure, it looks like a cheap 3D printed bit of plastic, but it's stuck to the back of the system anyway. I'll consider it, at least, that's what I thought until I saw the price! No they don't. Just use component for Wii. At $100 and a potential bricking of your console, that's too much risk for me. Sad, because I'd love to play Metroid Prime on my 4KTV. @Cameron_Talley If you’ve got a Wii U, you can play the Wii version. SOLD!! I have a massive GameCube collection. Not sure the name is the correct one for this product, it's very misleading as it's not a plug and play in the true nature of the title. Most plug and play hardware is complete package of software titles and hardware ready to go anywhere and play. This is just a HD connector? Thank god I ordered the component cable straight from the Big N when it was available. This is just way too pricey. "That said, one benefit of the lack of upscaling is that the device introduces no extra lag, making it perfect for those dedicated Super Smash Bros. Melee players." Your HDTV is a fixed pixel display. The signal being sent from the GameCube has to be upscaled to match. The only question is where this process is going to happen. But it absolutely does have to happen. You're not avoiding having to upscale the signal by this dongle just outputting the GameCube's native digital output. It just means the job has been pushed down the line. @Shiryu the difference is negligible. @Lord Plug and play means just that. You plug it in and you're set to go. No setup modifications are necessary to utilize this adapter, unlike internal solutions. Plug and play has nothing to do with software. For instance, a USB mouse connected to a PC is plug and play. You do not need to install custom drivers to use one. The PC auto detects it and you're good to go. @Pazuzu666 Thanks, I will keep my 100 dollas then. Don't buy this. Wait for one from a seller with a good reputation. So I can just plug this into my Gamecube and instant HD graphics? Worth every penny if it works right. This is a ZeldaXPro adapter, from the same guy who sold the adapters that bricked consoles. Avoid, and Nintendo Life should have noted this in their review. Really dont think the price of this is too bad considering it will only appeal to a niche audience, having recently purchased gdrom emu and saturn phoebe this seems cheap in comparison. Though I am sorely tempted by this, and Metal Jesus' Ultimate GBA. I guess I just really miss that era of gaming. I have component cables and this hdmi dongle. In theory they both output the same 480p quality. But as the article mentioned, my hdtvs do a much better job taking a 480p digital image and scaling to 1080p than taking a 480p analog image and scaling to 480p. I think this looks fantastic and is worth the upgrade. You could sell the component cables for $200, pick up this for $100 and likely have a better picture and $100. A Wii with component is a fine option. But there are reasons to use a Gamecube. The Gamecube picture is sharper than the Wii. I also hate fiddling with Wii controllers, finding one that has batteries, and going through the Wii O/S just to play a Gamecube game. Oh, and there's also the GBA Player that the Wii doesn't have. For my setup I'd rather have a Wii U and Gamecube attached digitally since the Wii U can do everything the Wii can do. Especially as TVs are going away from component inputs. The bricked consoles were moved while operating. No good can come from a moving a disc based system while operating. But yes, old versions did. This is the first that is 3D printed to stop shorts from happening when it gets moved. Sorry the guy isn't Microsoft and doesn't have a $500 million dollar R&D budget. He made a cool product that had a flaw because he used to build the case by hand. The flaw was identified and he corrected it. Shouldn't be an issue with these. Plus it's a freaking $30 Gamecube. We aren't talking about a $300 bricked Switch here. I don't see any mention of the biggest drawback of this thing: It will not let you play in progressive scan games that were not made with this compatibility in mind. Which means, this is useless for PAL gamecube owners, since NO PAL games were ever released that had a progressive scan option (despite our models coming with the same output built in). 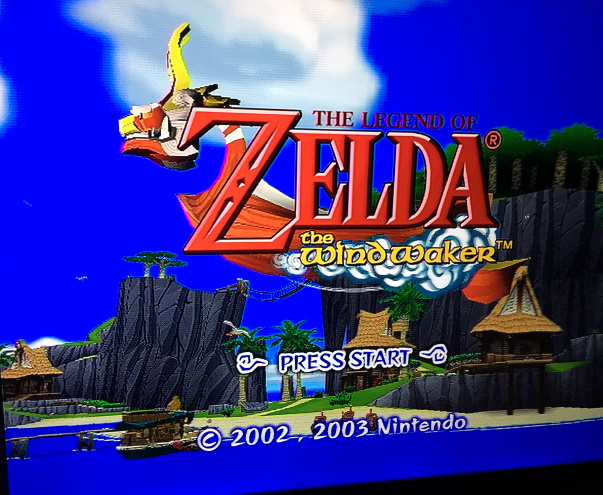 On the other hand, a soft modded Wii can force ANY gamecube game to output in progressive scan, using the right setup of homebrew tools, though admittedly the Wii outputs progressive scan over component, which is an analogue and not digital signal. 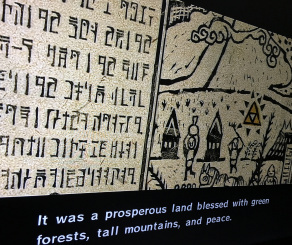 Alternatively still, a Wii U which had its vWii mode softmodded is capable of outputting ANY Gamecube game in progressive scan using "Nintendont" (which also exists for regular Wiis) and allows to play Gamecube games in progressive scan over native HDMI. I've never tried out this last option but I "think" it's compatible with the official Wii U Gamecube controller adapter as well, so you get to play your games using the original controllers as well. I'm quite content with playing these games in progressive scan on a Trinitron computer monitor on my Wii using the right adapter to convert to VGA, cause I not only play with the right aspect ratio screen, but also I don't have to simulate any scanlines, cause the nature of the monitor gives it a natural look. But I can imagine how this adapter would work for most people. It's just shame that Europeans will have no use for it whatsoever, and even in North America, not all games will be able to take advantage of this. Anyway Europeans beware, this will be of no use to you. It seems you could use media launcher and swiss to force progressive scan through a PAL gamecube then use this HDMI output to display. Certainly not ideal though. Will it work on a Wii console? I transferred all my Wii games to the Wii U, so I use the Wii as a GCN console. Or just buy a HD upscaler plug-in for a WII for £12 on ebay and play your gamecube games on that. This is what i do and they look amazing. This is an expensive waste of time. @RodSD64 just get a hD WII plug-in on ebay for £12 does the same thing and play your Gamecube games on that. just component and hdmi and coaxial. Lame I know... I have a Wii U and a Wii but not a gamecube. But I said just use component for Wii. what is the problem? He was warned by many people smarter than he was of the dangers and proceeded anyway. No product of his should ever be trusted. I still don't get the point of playing games in HD that were never made in HD in the first place. I'd rather play on a CRT and not have to worry about input lag. @vitalemrecords: Component can take composite cabling. The composite yellow video cable goes into the green(video) component input. Then, you match up the red(right channel audio), & white(left channel audio) rca plugs to the matching inputs. @Everyone_Else: You can also use either the composite cabling, or use the N64/GCN rf adopter. I have my Nes 2, & GCN using the same rf, just switched from which console I want to use. Not optimal, I know, since it loosens the rf pin connector input on both systems. 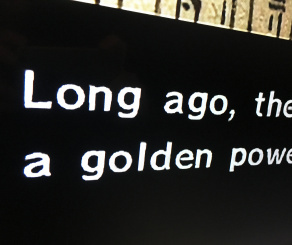 Once the tv's component/composite inputs free up, that's where my GCN gets connected. @YANDMAN Wii 2 HDMI does not do the same thing. It converts a component (analog) video into a digital (HDMI) one. You'll still have all of the imperfections an analog signal would. The GameCube one is digital to digital, since the GameCube doesn't natively output an analog video signal through that port (the component cables have a custom chip to encode the digital signal to analog component video, which is why there are no 3rd party component cables), so you get a pixel perfect output from this. Shared component/composite ports are available on many modern TVs but not all. It's simply not universal that every component input accepts composite. Wii to HD adds some lag because it's taking an analog signal and converting to digital. This device takes the digital signal before it's converted to analog so there is no lag. There are a few converters like the OSSC or earlier Frameisters that add none but the cheaper converters all add some. I have one of the V3s and it works perfectly. I don't know the history, but it seems you are holding him to a pretty high standard to never trust his work again without seeing if it's actually faulty. I mean it was pretty dumb on Nintendo's part to make the original Wii not run a fan in stand by mode leading to my graphics card to burn up and many others to do the same. But I wouldn't argue you should never trust Nintendo hardware because their engineers should have been able to determine a device running needs a fan. But your warning is noted and there should have been a note in the original article noting that earlier versions had issues. No point - Dolphin is almost flawless on a Ryzen 5/ gtx1060 at this point. @cleveland124: Thanks for making me aware. I wasn't entirely sure of the universal nature of it. @cleveland124 Well i can play all of my games without issue, if it's there its not an issue and for ten quid i can live with it. @cleveland124 Either way i dont notice it and it certainly doesnt affect any games iv'e played this far. 100 bucks is a lot to pay for a cable for a console that with HD remasters and whatnot has become basically a console dedicated to playing just one game; namely, Twin Snakes. I'm surprised at all the whining over the $100 price tag. Have you looked up what those Nintendo only made inferior component cables go for? $300 is a fair guess and can be more. 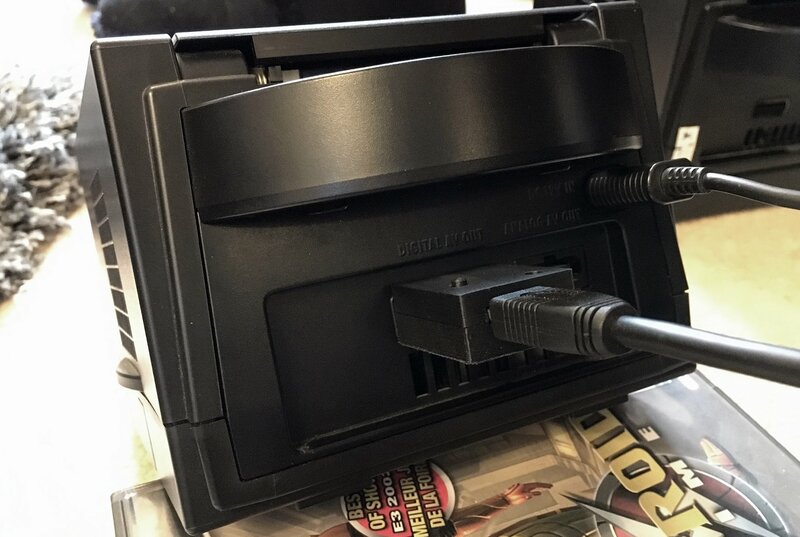 If you're not stuck on a CRT still, and with the realization that pre-HDMI jacks are being removed now (component, composite, and mostly already s-video) it's a no brainer to pick it up. Some trolls have fancier casing and charge $50 higher for the same internals. HD remasters are nice, but ultra limited in the scope of the total library. Here you're getting a pure clean no-lag signal. 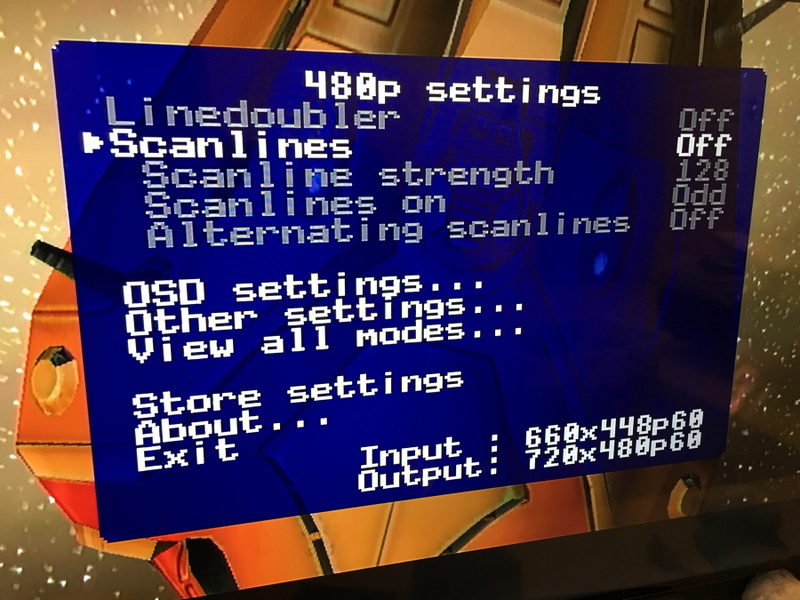 Your choices outside of sticking to CRT are pretty limited to how much you want to blow on a frameister, ossc, or some other rigging given your TV already doesn't have a crap set of internals causing some serious (over 30ms) display lag.